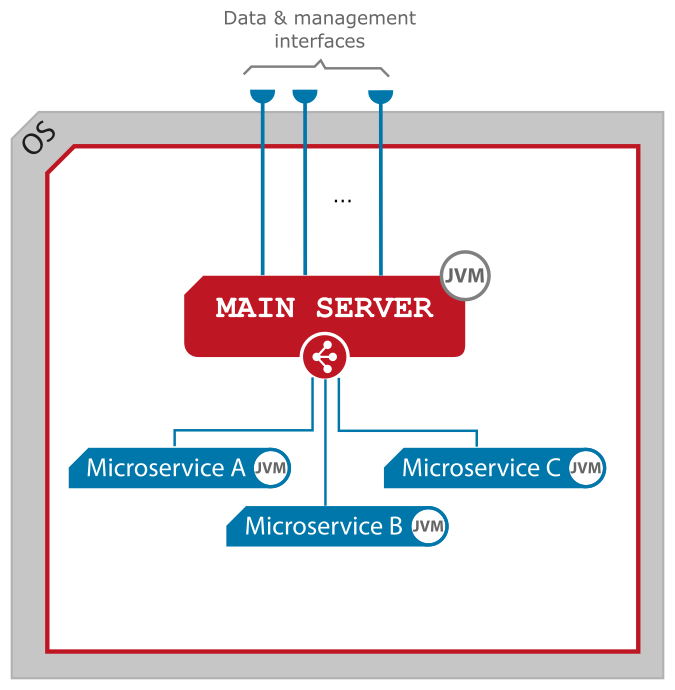 JLupin Main Server- a JVM process, we can say - "the heart of the platform", which is responsible for management, monitoring and providing services from native microservices. JLupin Edge Balacer - a NGINX instance with additional custom modules, which is responsible for easy, reliable access to services provided by servlet microserivces. performing zero downtime deployment process. JLupin Main Server runs microserivces on its backend, which means that they share the same resource space (server, virtual server or container) as Main Server. Each of these components is described in the next chapters. This additional component is based on NGINX with custom LUA modules for JLupin Platform. By default, it is closely integrated with JLupin Platform and delivered with its packaged. By default, it's managed as a technical microservice through technical process manager, which executes NGINX commands stated in the technical microservice configuration (an arrow with "CMD"). The configuration of Edge Balancer is created dynamically and is based on the information coming from HTTP INFORMATION_PORT provided by Main Server. 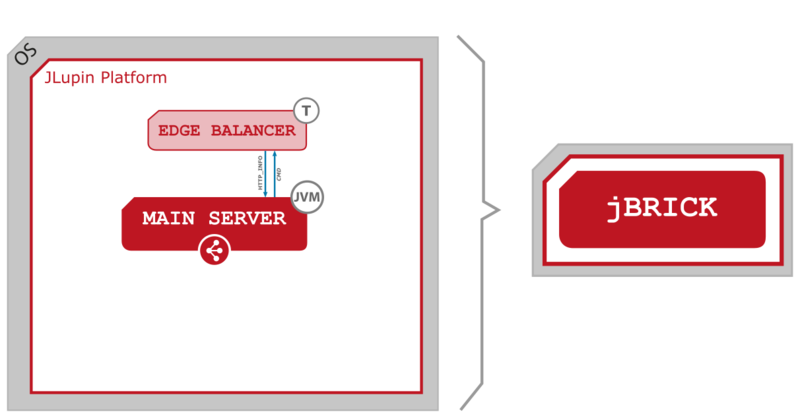 More information you can find in JLupin Edge Balancer documentation.